The Fender Blues Deluxe Reissue Combo Guitar Amp offers a vintage-style tube design and boutique tones pro rock, country and blues player will fall in love with. Its single 12'' Eminence Special Design speaker is powered by 40 watts of pure vintage power, with 6L6 and 12AX7 tubes offering incredible headroom and character. 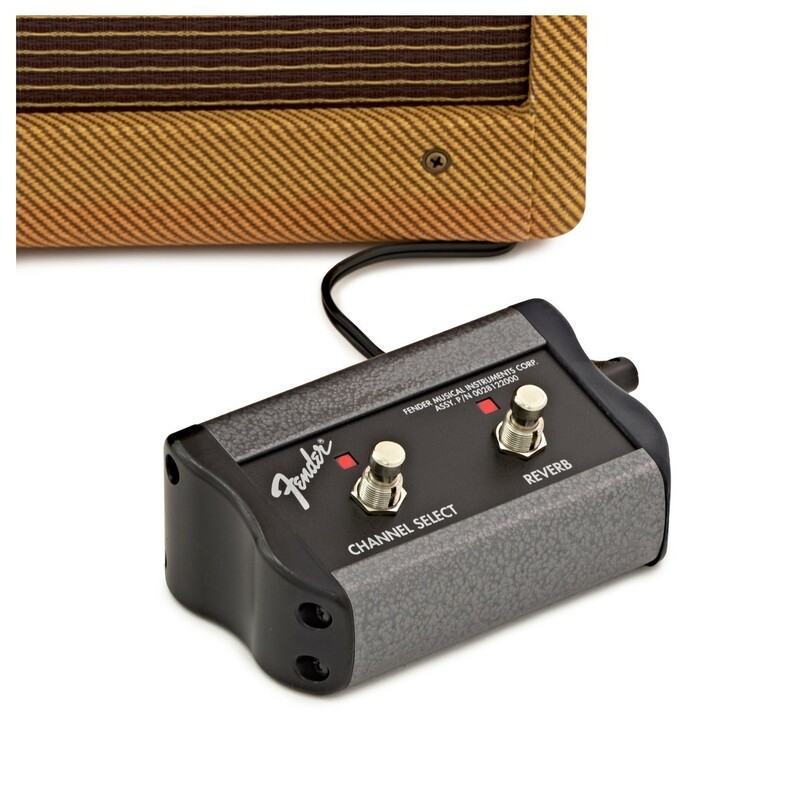 The Blues Deluxe Reissue features vintage a dirt channel with a range of powerful controls, allowing players to dial in a wide range of beautiful tones. The electronics are encased within a sturdy birch/maple cabinet, with a classic tweed covering, vintage-style brown and gold grille cloth, and a classic moulded rubber ''Dog Bone'' style handle to create a visually stunning amplifier. 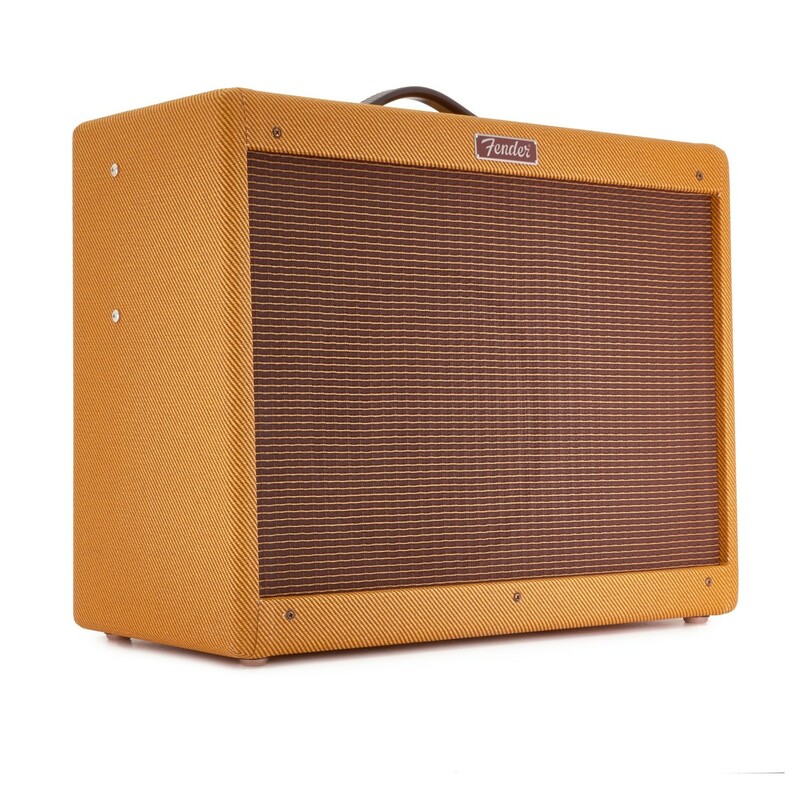 The Fender Blues Deluxe is equipped with 2 x 6L6 power tubes and 3 x versatile 12AX7 preamp tubes, offering tonal richness and a distinctive voice which many players will love. These high-quality components deliver a famous low-end headroom heard on many recordings over the last 60 years. 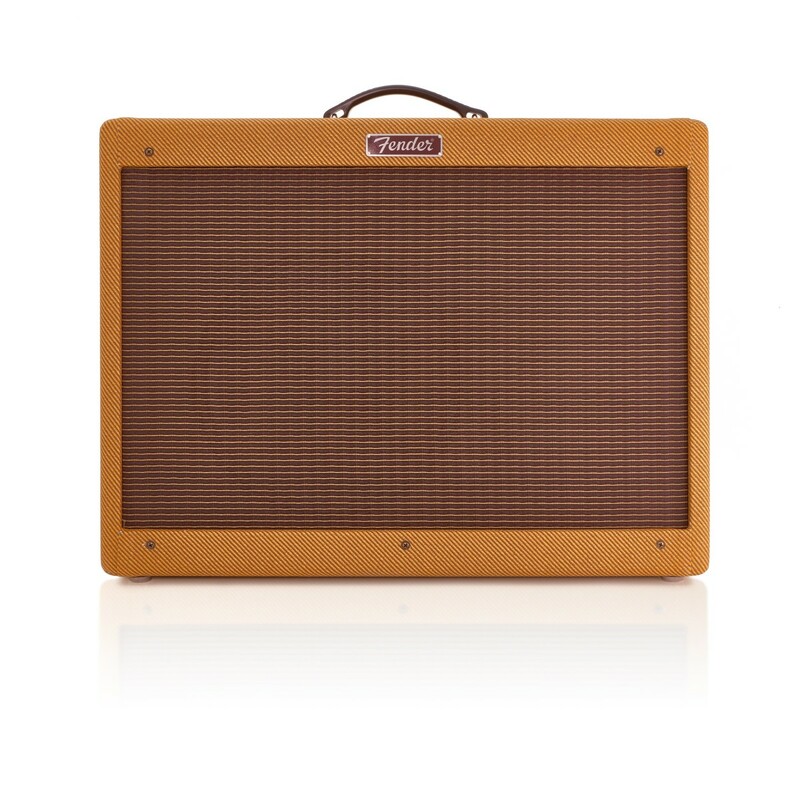 The Fender Amp is the perfect choice for players who want a classic, vintage tone. 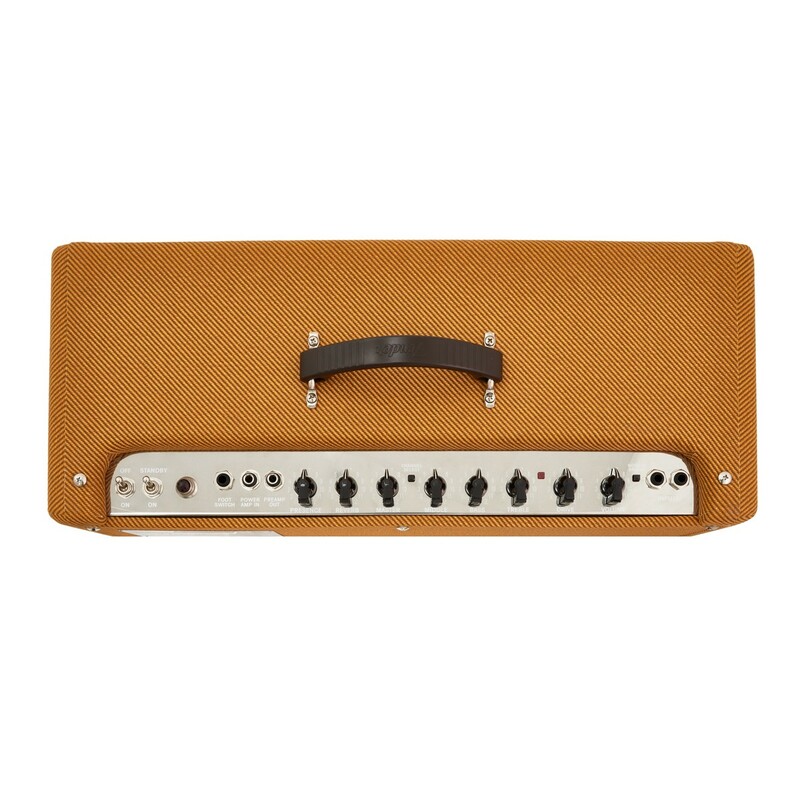 While its newer cousin, the Hot Rod Deluxe, has many modern refinements, more and more enthusiasts continue to request the warm tone, unique circuitry, classic features and sharp look of the original version. 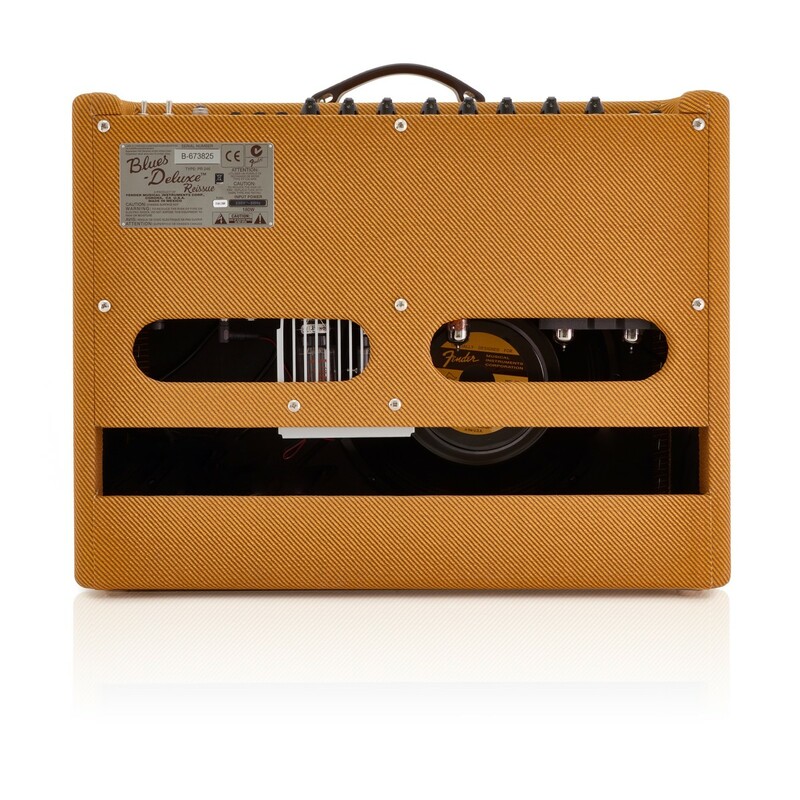 Accordingly, the Reissue Blues Deluxe sends 40 watts of juice into a single 12" Special Design Eminence® speaker, delivering incredibly powerful and vintage tones. Its two channels, normal (with bright switch) and drive, are voiced for classic blues, country and rock; other features include Fender spring reverb, an effects loop and two-button channel footswitch. The great look includes tweed covering, chicken head pointer knobs and a chrome control panel.